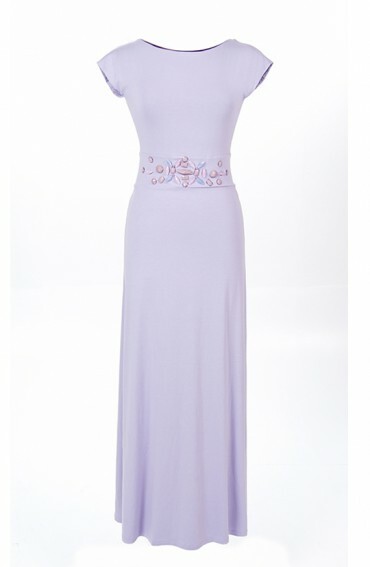 Stunning maxi dress with a twisted back and embellished waist band in lilac. The ultimate long maxi dress as you can dress it up or down. Made in soft jersey, fully lined with contrasting violet tulle for that added luxury. Wide waist band embellished with semi precious stones. It measures 165cm from shoulder to hem and machine washable.